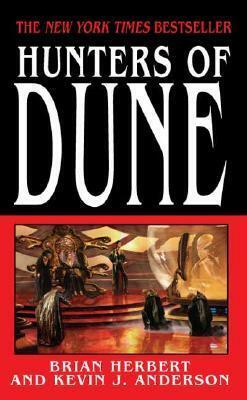 At the end of Chapterhouse: Dune--Frank Herbert's final novel--a ship carrying the ghola of Duncan Idaho, Sheeana (a young woman who can control sandworms), and a crew of various refugees escapes into the uncharted galaxy, fleeing from the monstrous Honored Matres, dark counterparts to the Bene Gesserit Sisterhood. The nearly invincible Honored Matres have swarmed into the known universe, driven from their home by a terrifying, mysterious Enemy. As designed by the creative genius of Frank Herbert, the primary story of Hunters and Sandworms is the exotic odyssey of Duncan's no-ship as it is forced to elude the diabolical traps set by the ferocious, unknown Enemy. To strengthen their forces, the fugitives have used genetic technology from Scytale, the last Tleilaxu Master, to revive key figures from Dune's past--including Paul Muad'Dib and his beloved Chani, Lady Jessica, Stilgar, Thufir Hawat, and even Dr. Wellington Yueh. Each of these characters will use their special talents to meet the challenges thrown at them.